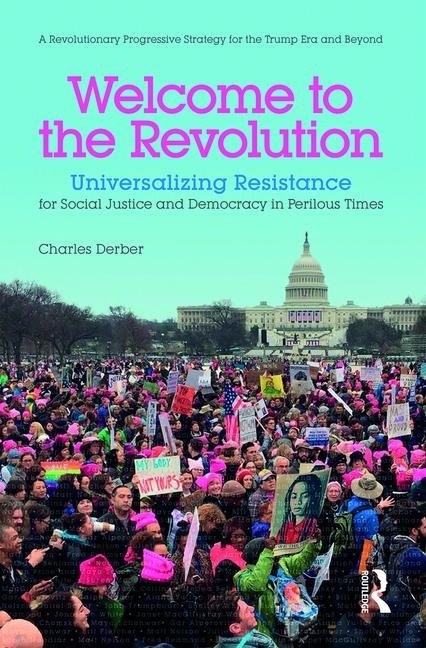 Charles Derber offers a guide to the new era of organizing in Welcome to the Revolution: Universalizing Resistance for Social Justice and Democracy in Perilous Times. With guest contributions from Medea Benjamin, Ralph Nader, Gar Alperovitz and more, this book makes a compelling argument about how movements must come together. Order your copy today with a donation to Truthout! The following piece by John Trumpbour forms one of the guest “interludes” in Welcome to the Revolution. Political scientist Joseph Luders in The Civil Rights Movement and the Logic of Social Change (2010) reflects in an obscure footnote that “Curiously, the labor movement is conventionally ignored by scholars of social movements.” This stark observation is the starting point of environmental and labor organizer Jane F. McAlevey’s new book on transforming the U.S. labor movement called No Shortcuts: Organizing for Power in the New Gilded Age (2016). It is often forgotten that the U.S. labor movement, despite having many elements complicit with white supremacy and interventionist foreign policy, played a critical role in advancing the civil rights movement. The original push for a March on Washington came from A. Philip Randolph, the president of the Brotherhood of Sleeping Car Porters. The labor movement’s involvement in so many civil rights struggles, including Martin Luther King’s last fight in Memphis for the city’s sanitation workers, has been largely erased from public memory. There has been much written in recent decades about “the wages of whiteness,” “how the Irish became white,” and places where racism flourished in the U.S. labor movement. Necessary exposure of white supremacy has led some people to miss where the labor movement pursued a more universalizing mission that brought progress for both white and African American workers. These include alliances between Italian and African American miners in early twentieth century West Virginia and the shared struggles of black and white timber workers in the Piney Woods of Texas-Louisiana. With so much media focus on seething eruptions of white nationalism among the Trump-infatuated segments of the working class, it might be valuable to explore those forces in the labor movement that have sought universalizing forms of resistance to economic and racial injustice. In the aftermath of Hurricane Katrina, the Bush Administration allowed labor contractors to bring in welders, pipefitters, and many other workers from India as well as, occasionally, Peru and Bolivia. Employers avoided hiring workers from the USA, with the Bush team suspending rules known as Davis-Bacon that normally required contractors to pay the prevailing wage for the industry. U.S. workers denied opportunities for employment soon sought retaliation against the newcomers. The Indian workers were confined in labor camps built for them in the borderlands of Mississippi and Texas. With 24 people to a trailer and under constant surveillance, the new arrivals saw their hopes for a piece of the American Dream die swiftly in these sweatshop stockades. Their long hours of labor were punctuated by a few brief moments of freedom from toil: heavily monitored visits to Wal-Mart as well as to an evangelical church where they were encouraged to pray. Saket Soni of the National Guestworkers Alliance recalls how he was able to get the South Asian laborers to meet African American building trades workers who had been denied the opportunity to rebuild New Orleans. They built solidarity and overcame the tendency of workers to turn on each other. Soni saw how the South Asian workers soon became inspired by the Memphis workers who received MLK’s final speech before his assassination. “On one proud day in 2008,” declared Soni, “250 Indian workers holding signs that said ‘I Am a Man’ escaped from the labor camps and then proceeded to walk from New Orleans to Washington where they went on a hunger strike.” Singing “We Shall Overcome” in Hindi, they regularly invoked the words of MLK and Gandhi. The National Guestworker Alliance now builds solidarity with workers throughout the United States. One of the most successful was the Justice at Hershey’s campaign in which hundreds of students on J-1 cultural exchange visas from nations such as China, Turkey, and eight former countries of the Soviet Union fought back when compelled to work at the chocolate manufacturer or be deported from the United States. The National Guestworker Alliance connected the students with their heavily white working class neighbors in Pennsylvania, and the students campaigned for these jobs to be restored as $18 an hour positions for U.S. workers. The transformation of educational exchange programs into a labor supply chain for ravenous corporations may have been foreshadowed by the capture of many U.S. public schools by politicians who hail business models as the cure for lackluster outcomes in the classroom. Out with music, theater, and the arts, and in with cramming for standardized tests and imposing discipline that will deliver a more docile, unquestioning pupil for the future workplace. A labor union that has fired the imagination of those seeking to universalize resistance is the Chicago Teachers Union (CTU). In 2012, they confronted the foul-mouthed, f bomb dropping Mayor of Chicago Rahm Emanuel, who has fostered corporate models of education and routinely shuts down neighborhood schools. “These are our children, not corporate products!,” exclaimed teachers and parents in the resistance. They noted that Rahm Emanuel sends his children to expensive schools with plenty of arts and music. The CTU won parental and community support when they went on strike fighting to keep neighborhood schools and maintaining music, theater, and the arts for students in poverty-stricken neighborhoods. Jane F. McAlevey’s new work No Shortcuts on revitalizing the labor movement notes that activist organizations commonly come in three forms: 1) advocacy, 2) mobilizing, and 3) organizing. She argues that the advocacy and mobilizing models have dominated social movements and too often bring with them control by professionals: attorneys, researchers, pollsters, lobbyists, staffers, and lifelong activists. In contrast, the organizing model seeks to get ordinary workers to take charge of their union and ultimately their destiny. The recent revitalization of the Chicago Teachers Union is one of the best lessons. It demonstrates how labor organizations that are able to infuse ordinary members with a sense the union belongs to them can go on to build powerful alliances with the community. This stands as a potent reminder of how universalizing resistance might give labor the audacity to overcome those forces plunging America into the new Gilded Age. The organizing model thrived in the 1930s when labor leader John Lewis of the Congress of Industrial Organizations discovered that his most effective organizers came from left-leaning backgrounds. The trouble for Lewis is that at heart he was a maverick Republican, and so he later sought to purge these rabble-rousers after they had triumphantly organized industrial workplaces. The ferocious Red Scares of the 1950s pushed many more of these successful organizers out of the labor movement. In the twenty-first century, the Sanders campaign showed that young people could be turned on to politics. The Pew Research Center surveyed the 18-29 year old demographic back in February 2011, and 58 percent had a favorable view of labor unions compared with only 37 percent of Americans 65 years and over. Sixty-two percent of African Americans judged labor unions as favorable to workers, in contrast to only 43 percent of whites. Forty-six percent of women regarded unions as favorable and 37 percent saw them as unfavorable, while men were deadlocked at 45 percent favorable and 45 percent unfavorable. The Pew data indicates that the organizing model will find a receptive response if the labor movement can reach out to young workers, African Americans, and women. For the new generation of organizers, the challenge is to connect with these labor friendly communities, while showing disaffected white working class males that solidarity trumps swashbuckling Trumpism when it comes to healing the wounds inflicted by capitalism in the Age of Goldman Sachs and the Fortune 500. John Trumpbour is research director of the Labor and Worklife Program at Harvard Law School. He is the author of Selling Hollywood to the World: U.S. and European Struggles for Mastery of the Global Film Industry, 1920–1950 (Cambridge University Press, 2007). We need a universalizing left to transform society, says Charles Derber. Reagan was in fact an enemy of organized labor throughout his presidency.